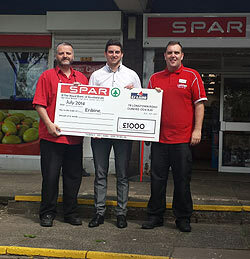 LOCAL CHARITY BAGS A £2000 CHEQUE FROM SPAR SCOTLAND! 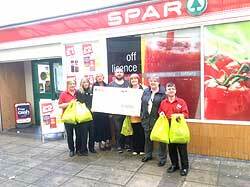 LOCAL CHARITY MARCH OFF WITH A CHEQUE FROM SPAR SCOTLAND! 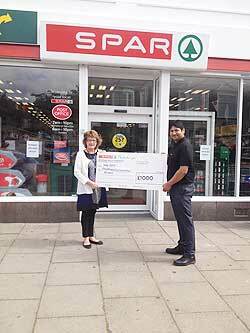 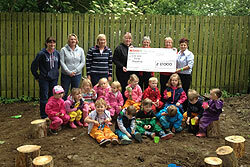 LOCAL COMMUNITY PROJECT BAG A CHEQUE FROM SPAR SCOTLAND! 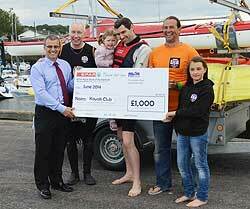 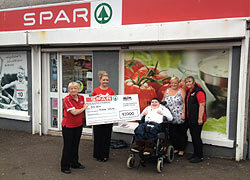 LOCAL SPORTS CLUB BAG A CHEQUE FROM SPAR SCOTLAND! 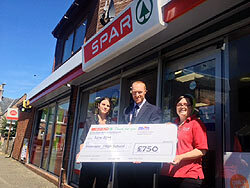 LOCAL HIGH SCHOOL BAGS A CHEQUE FROM SPAR SCOTLAND! 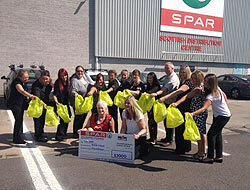 LOCAL CHARITIES BAG A CHEQUE FROM SPAR SCOTLAND!